Chef David Darmanin with his team of young aspiring chefs preparing for the 2015 edition of l-Ikla t-Tajba held during Notte Bianca in Valletta. 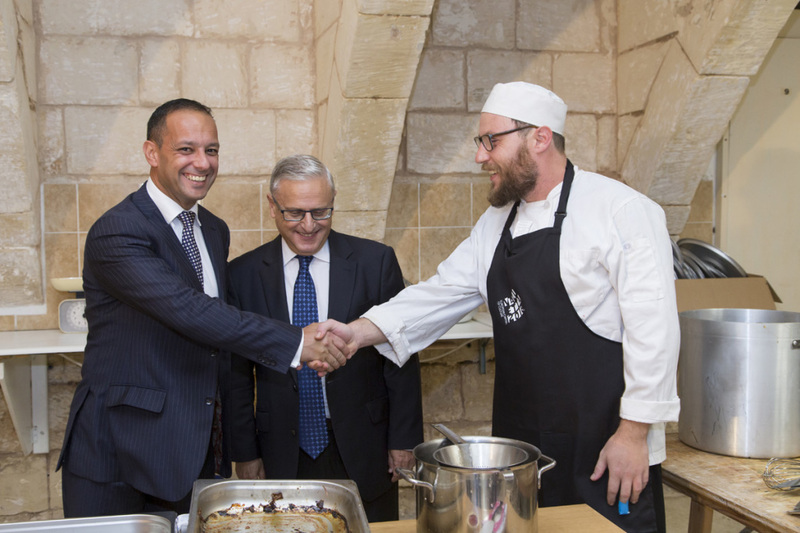 The youngsters who came up with original recipes, hail from Aġenzija Żgħażagħ’s Youth Inc. Programme and have done so following several workshops. A varied menu of tasty street food dishes made from local, fresh ingredients will be available at Notte Bianca from a pop-up kitchen next to Castille Square as part of Valletta 2018’s project, L-Ikla t-Tajba. 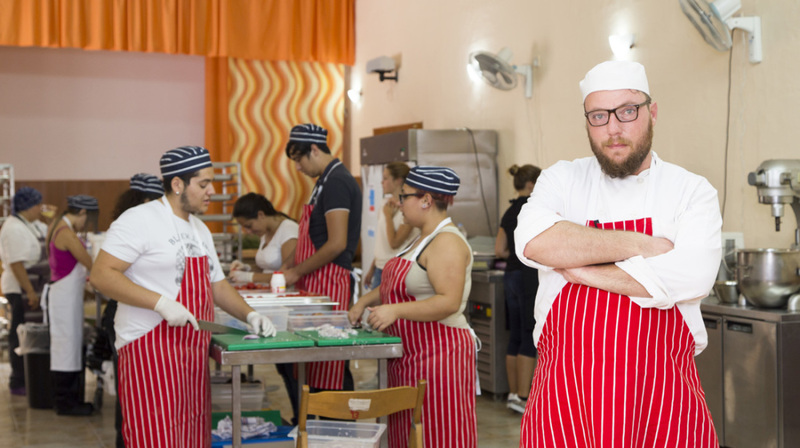 The young chefs who came up with these meals hail from Aġenzija Żgħażagħ’s Youth Inc. Programme and have done so following several workshops under London-based Head Chef David Darmanin. They will be guided by a team of international chefs while they serve people during Notte Bianca. Minister for Sustainable Development, the Environment and Climate Change Leo Brincat said that Valletta 2018’s L-Ikla t-Tajba is a unique project in which tradition, environmental protection and sustainable use of resources all come together. L-Ikla t-Tajba boasts a varied menu incorporating fusion food such as Maltese-Vietnamese red prawn spring rolls, as well as kebabs filled with pulled pork and pulled horse meat. Other tasty curiosities include savoury vegetable qassatat, fried rabbit burgers, hot dogs filled with lamb instead of processed meat, and the Ftizza, a ftira-pizza hybrid with a sourdough base. Chef David had quite a challenge this year instructing a group of young people into the appreciation of the basics of food preparation as well as an awareness of the local culinary arts while encouraging them to use creativity to spice up traditional food.